Continue on 495N for approx. 1.5 miles to Exit 23B, Route 9 West. Continue on Route 9 West for approx. 1.5 miles to Lyman Street and take a left at traffic light (Burger King will be on the right). Take the next right into Westborough Shopping Plaza, then the next right, and the next right again. Definitely Wendy is between Profilo Spa and Pearle Vision. Take Route 9 East for approx. 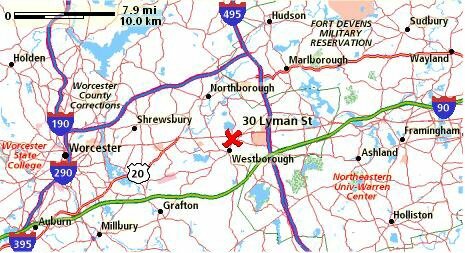 10 miles to Lyman St.,Westborough. Take a right at traffic light on to Lyman St. (Mobile gas station on right). We definitely dress the best dressed woman.....anywhere!